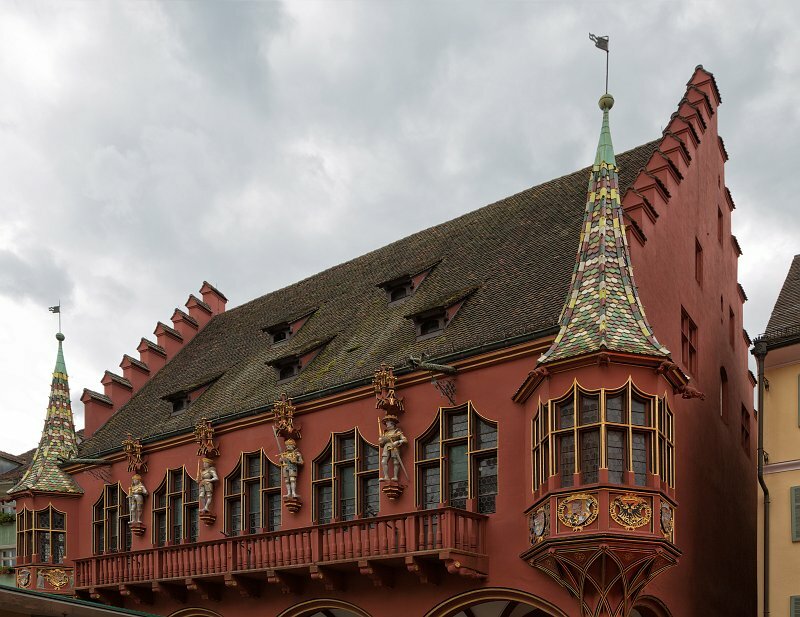 The Historisches Kaufhaus (Historic Merchants’ Hall) south of the cathedral is a symbol of the importance of trade in medieval Freiburg. The seat of the municipal market, customs and financial administration is identified as a centre of trade by its arcade hall. Built in 1520-1532 by Lienhart Müller. The emblems and the statues on the main façade, created by Hans Sixt von Staufen, depict a reverence to the House of Habsburg. Maximilian I, his son Philipp of Burgundy and his sons, Emperor Charles V and Archduke Ferdinand I, represent the family that reigned over Freiburg for more than 400 years.